A suspect who was out of jail on bond, after pulling a gun on a bank employee on December 5, was re-arrested yesterday — charged with Stalking. Dennis Caudill, 62, of Franklin, had been previously banned from another downtown business after making employees uncomfortable. Yesterday, he was seen peeking into that business’ window. When Caudill began to enter the business, he was intercepted by an officer patrolling the area. 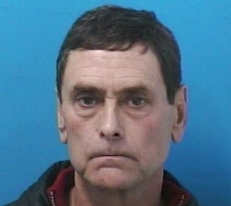 Charged with Stalking, Caudill was released from the Williamson County Jail on the $15,000 bond set by the Magistrate. Caudill is due in court on his new charge 12/21/2017 at 1:00 pm.